After a long day at work, it’s time to unwind with Happy Hour. And what better place to celebrate Happy Hour than Dallas’ favorite sports bar – The Nodding Donkey! The Nodding Donkey has a huge selection of domestics, imports, and local craft beers available! Our goal is to introduce you to new beers you haven’t tried yet, while still offering the traditional favorites. We love sourcing new Texas beers and supporting local artisans just doing their thing. And with so many new craft breweries popping up, there is always something new to try! 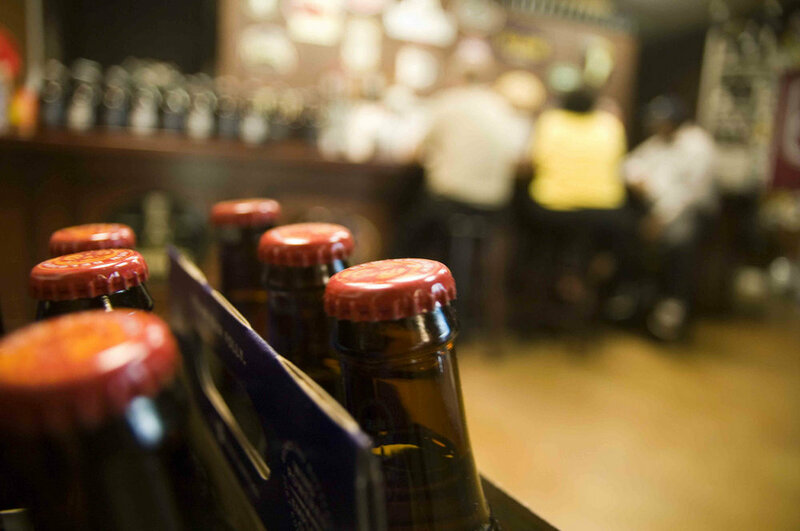 During Happy Hour, the prices range from $3 for domestics, all the way up to $5 for local Dallas craft beer. If beer is not your thing, then what about a mixed drink?! The Nodding Donkey has $4 Wells everyday during Happy Hour! At that price, you can afford to order several of your favorites, or treat your coworkers to a drink or two. A few top picks: vodka tonic, rum and coke, or a whiskey sour. Wind down with a glass of your favorite wine, just $5! Each house wine – whether red, white, or sparkling – is carefully chosen to win the approval of even the pickiest wine drinker. We think you’ll be pleasantly surprised at our Dallas happy hour wine selection! No happy hour is complete without munchies. Order some smoky guacamole, Donkey balls, or maybe some cheese fries – you really can’t go wrong with any of our starters! Mark your calendar to join The Nodding Donkey for Happy Hour! It’s 4-7pm every weekday at your favorite Dallas, TX sports bar! *Please note that all specials, promotions, and pricing are subject to change at any time. Please confirm with your server should you have any questions about current pricing. Whether you are a regular golfer who spends every weekend on the course or a novice who’s barely hit a golf ball, we want YOU to join us for our Dallas Charity Golf Tournament, benefitting the Texas Scottish Rite Hospital for Children. The 7th Annual Nodding Donkey Charity Golf Tournament will take place on June 9, 2017 at The Golf Club of Dallas (2200 West Red Bird Lane, Dallas, Texas, 75232). Tee time is 1pm, but the tent will open at noon for refreshments and such beforehand. A whole lot of good food, delicious drinks, and great fun! The tournament is a 4-person scramble (again, novices are welcome! ), and your entry fee will include golf, cart fees, driving range access, lunch, dinner, and refreshments throughout the day – all provided by yours truly, The Nodding Donkey – the best sports bar in Dallas. Lunch will be served at noon; dinner will follow the tournament at 6pm. The entry free is $150/player and all proceeds goes directly to the Texas Scottish Rite Hospital for Children, located right here in Dallas, Texas. The Nodding Donkey still has sponsorship opportunities available. Sponsor a hole for just $300, with 100% of that going to Scottish Rite. Your company logo will be prominently displayed at your sponsored hole and on other event signage. You can also do a corporate sponsorship for just $175, where your company logo will appear on print materials and signage only. Registration and sponsorship sign-up is easy! Simply visit our website here and register! Spots are filling up fast, so don’t wait until it’s too late. And while you're there, don't forget to enter our raffle for a luxury golf cart the day of the event. Can’t wait to see you for the 7th Annual Nodding Donkey Golf Tournament, the best Dallas charity golf tournament around!